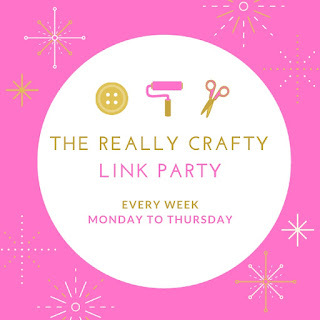 Welcome to The Really Crafty Link Party #156! Hello, and welcome to The Really Crafty Link Party #156. Come and share your projects, your ideas and what else is inspiring you this week. And as this is still a party, try to visit at least a couple of other links and spread the word on social media - the more, the merrier. The linkup will be open until next Thursday and I will be posting the features on Friday, February 15th. If you follow me via any social media (icons in the side bar) let me know in the comments and I'll make sure to follow you back! Thank you again for stopping by, and happy crafting! Hi Teresa, thank you for the party, Im going to have to make friends with the new Linky, ugh, dont like change. 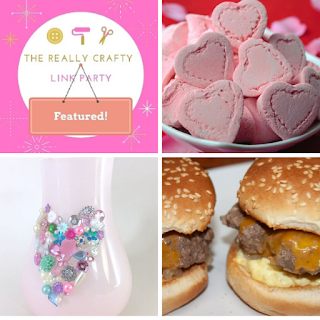 I love this month with great Valentine ideas and recipes everyone shares. Thank you for joining Karren. I thought I would have troubles with the new Inlinkz at the beginning too but things have worked surprisingly smoothly. Thanks so much for hosting! I love the new layout for the party. Thank you! Hopefully it will continue to work well!